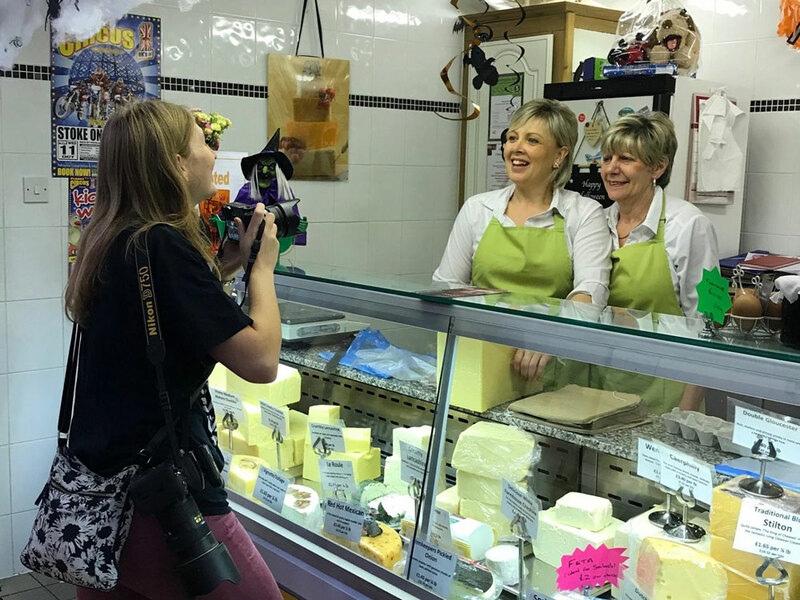 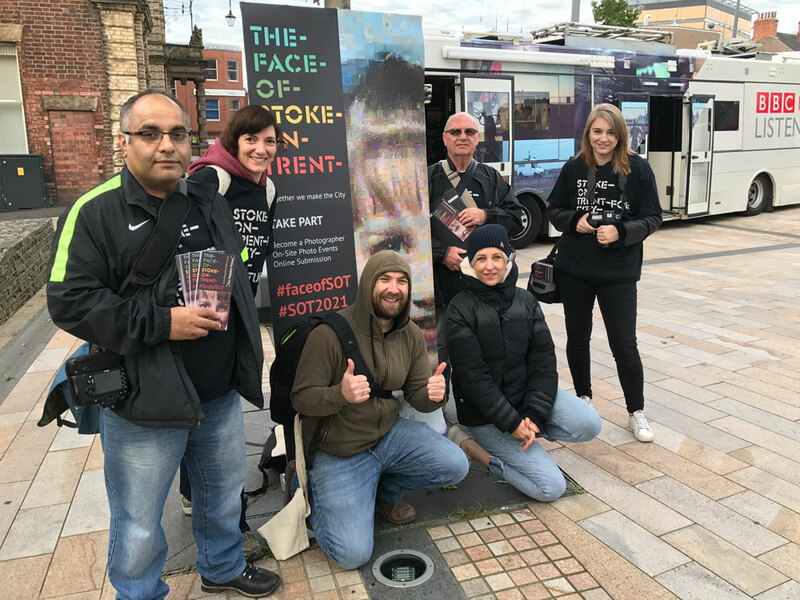 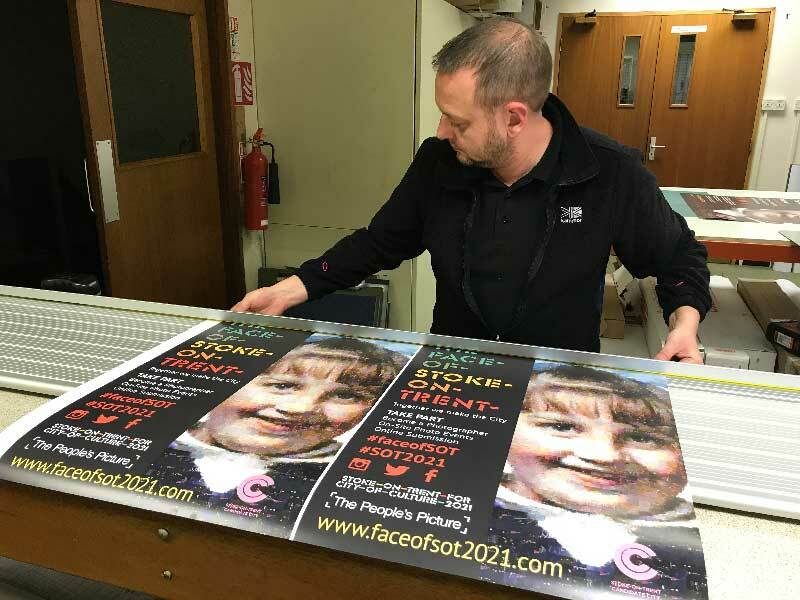 Working with The Peoples Picture has been an incredible experience for everyone who participated on the Face of Stoke-on-Trent in 2017. 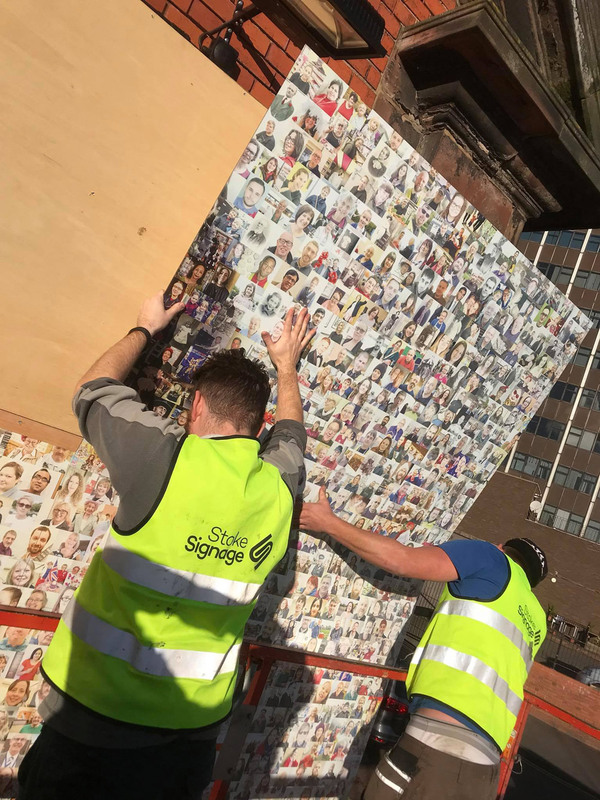 The engagement for so many people has been truly memorable. 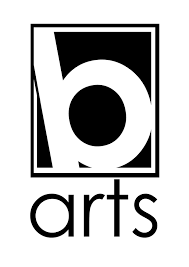 The quality of the work is exemplary and never fails to attract massive and avid attention. 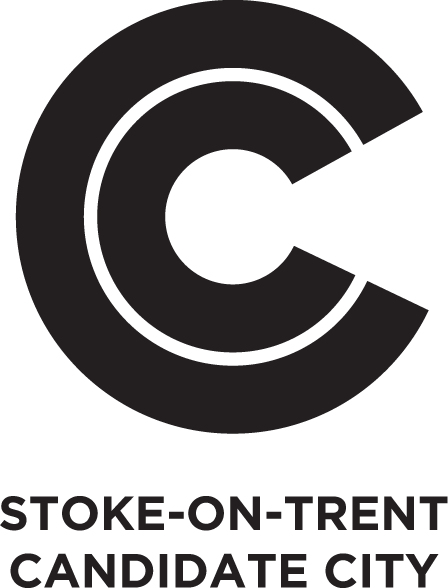 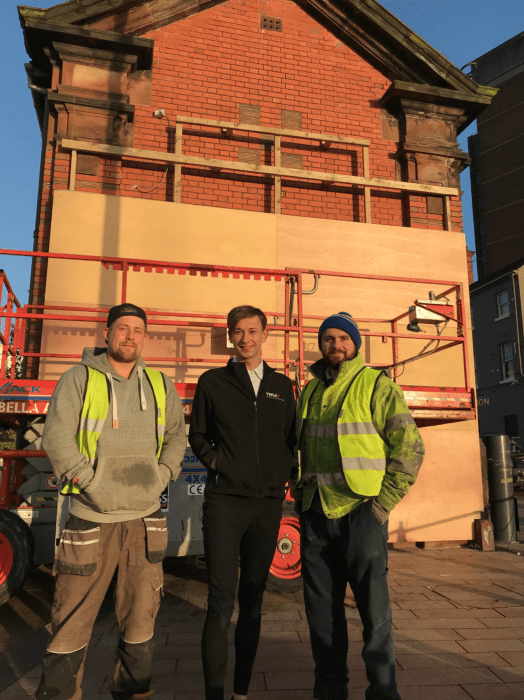 A commission from Stoke on Trent County Council to create a giant artwork and photographic installation as part of Stoke-on-Trent’s bid to become UK City of Culture 2021. 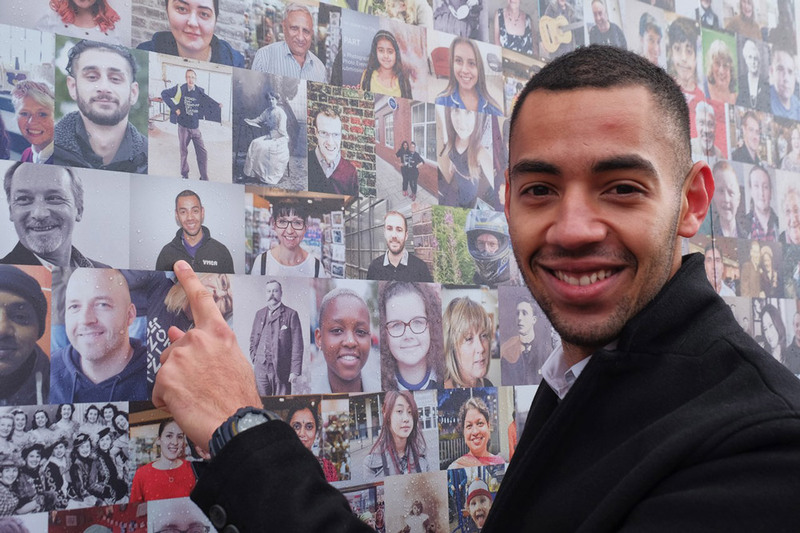 Jozef Clark, A 23-year-old who used the YMCA to help to turn his life around was chosen to be the Face of Stoke-on-Trent. 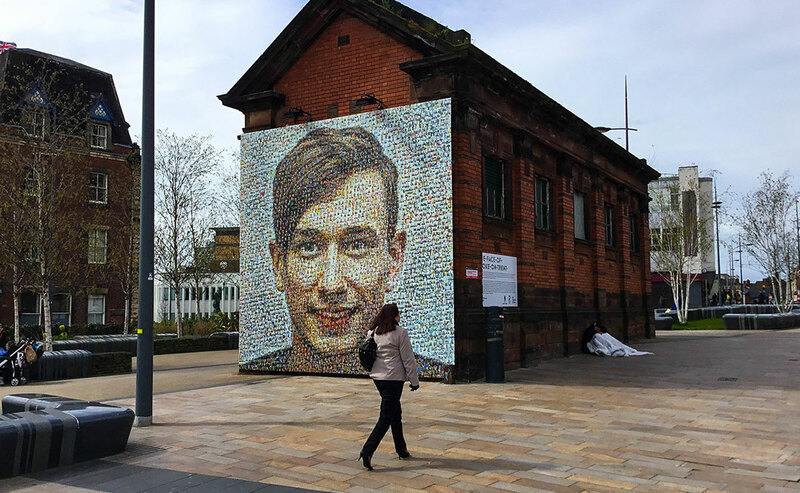 He was one of 3,550 people who submitted a picture for the exhibition in the city centre. 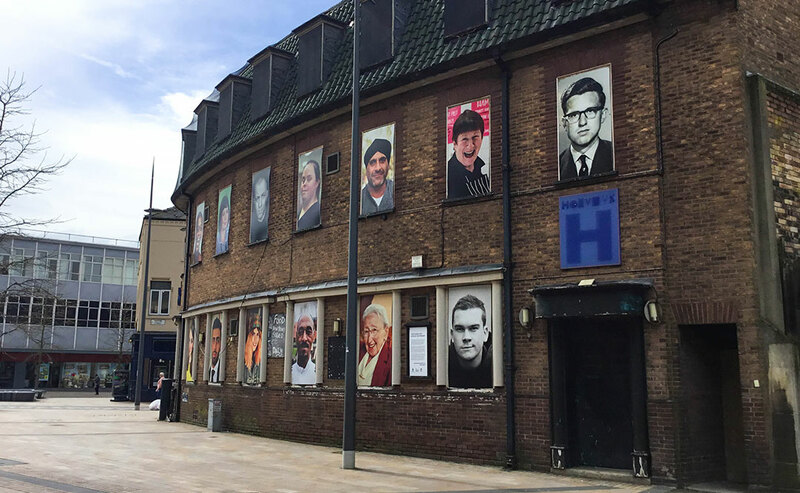 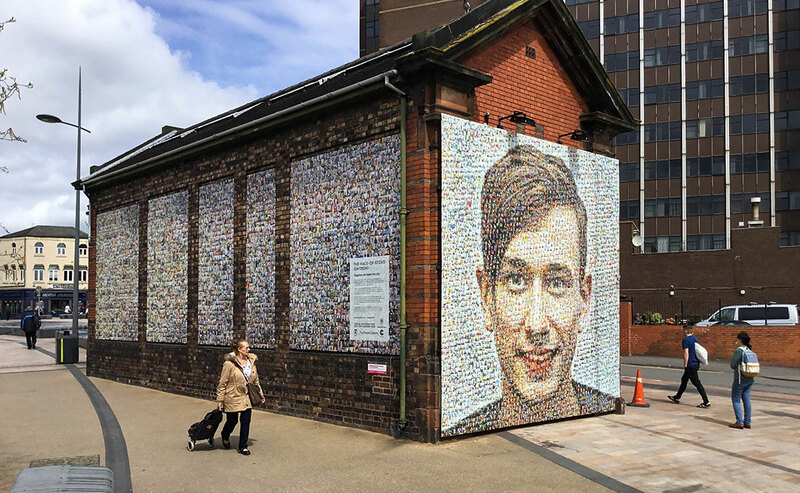 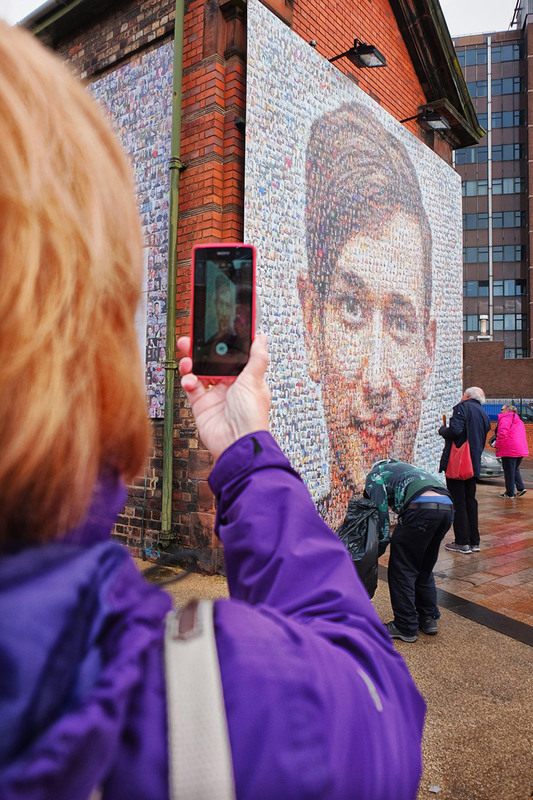 His face is the main, iconic image for the artwork, which is made up of photographs of people from across Stoke-on-Trent. 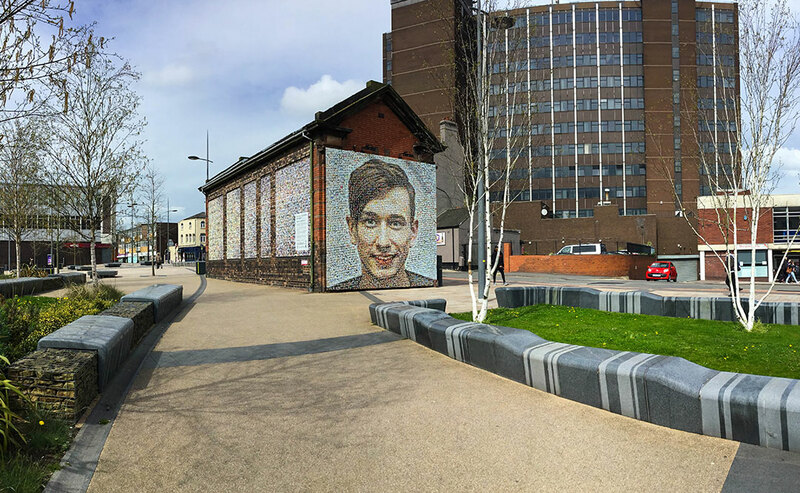 An installation on an adjacent unused building of twenty faces also covers each window. 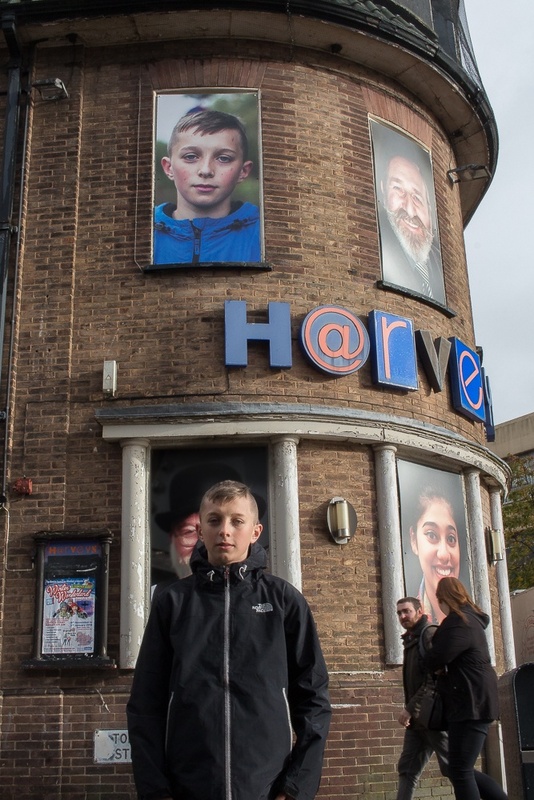 On November 25, a public Face of Stoke-on-Trent celebration event was held outside the artwork. 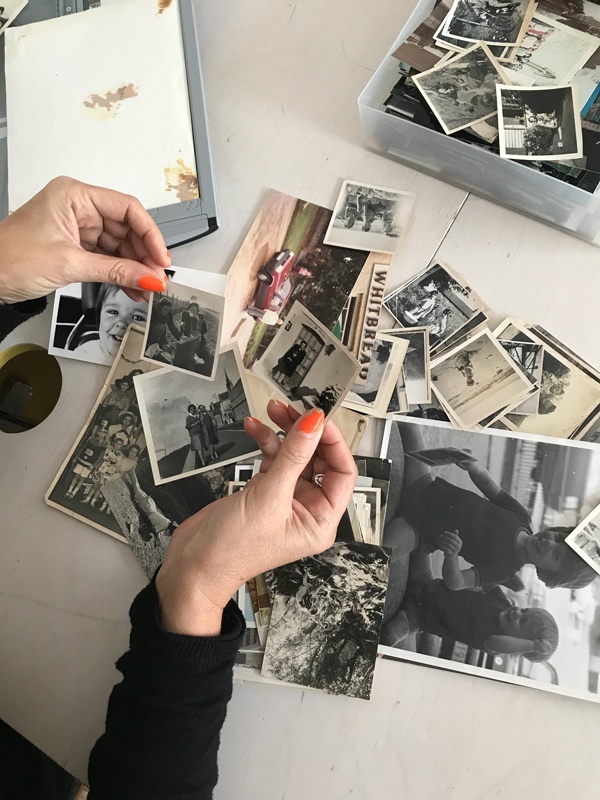 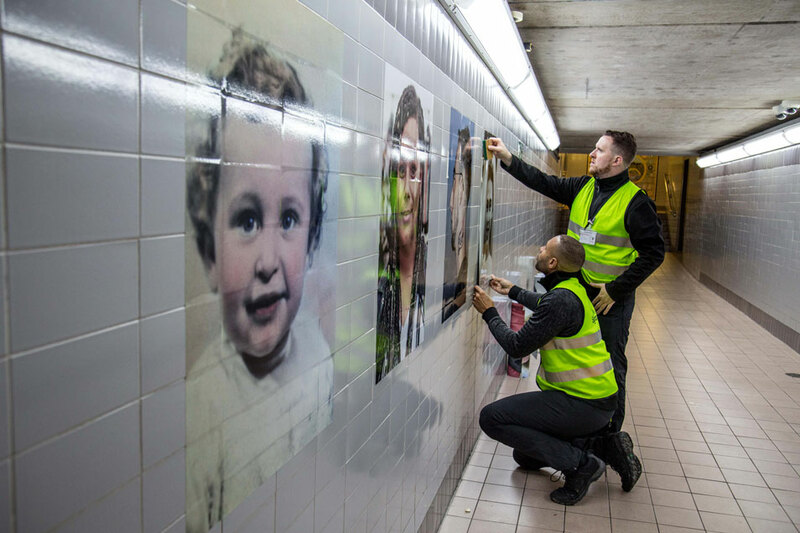 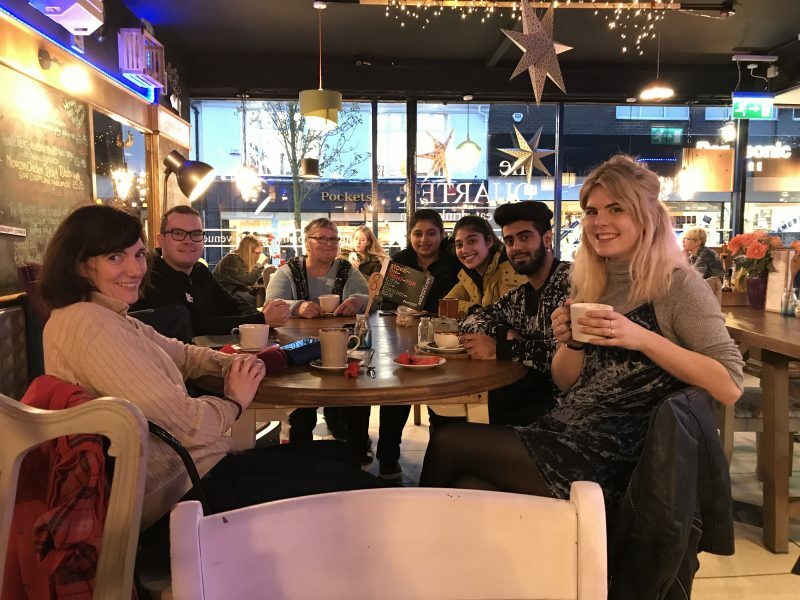 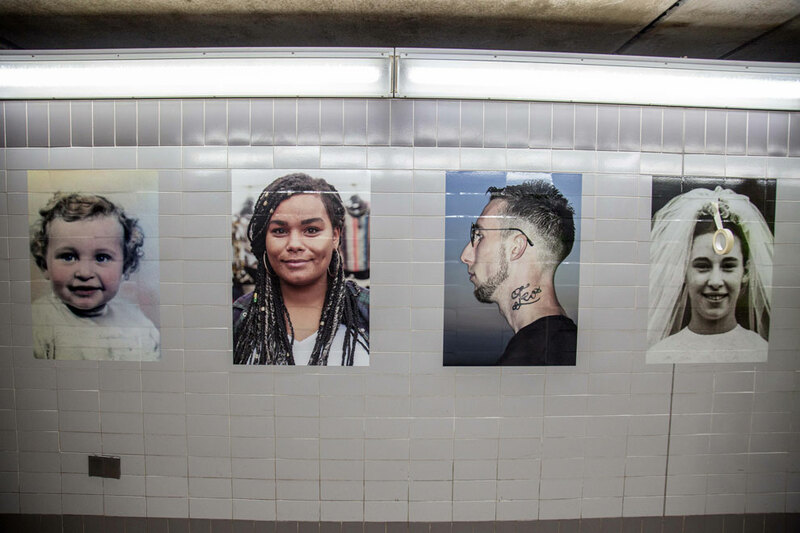 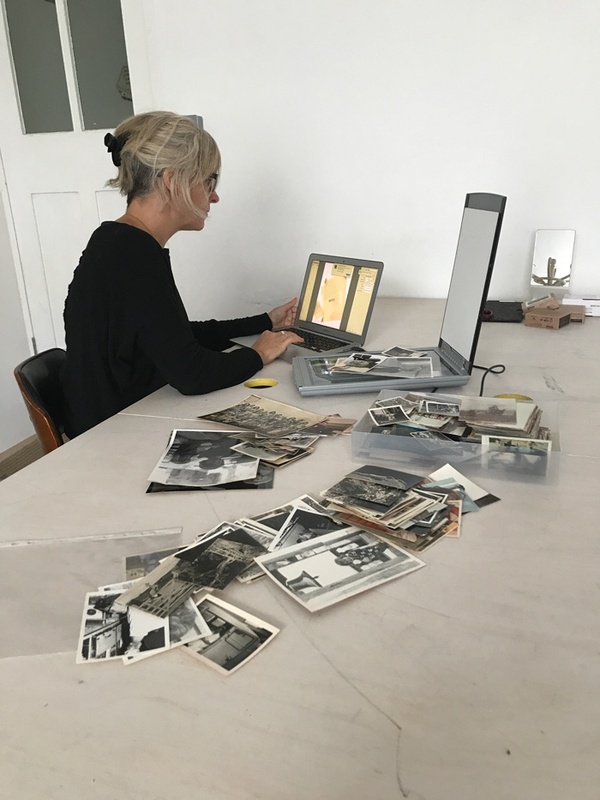 Residents and visitors had the chance to speak to Jozef and some of the shortlisted ‘faces’, as well as Helen Marshall the artist of the People’s Picture, photographers, representatives from B Arts, the SOTogether Social Impacts Group, and others involved in the project. 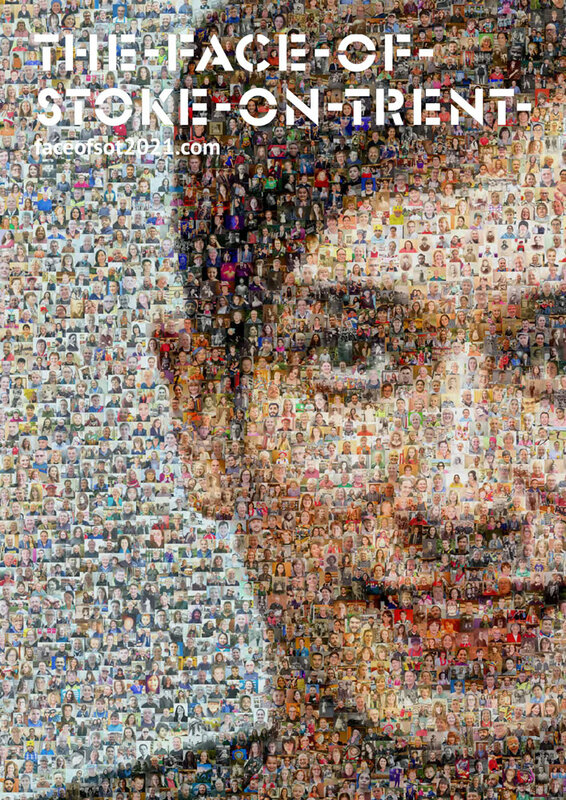 A booklet with the featured ‘faces’ and their stories was also available at the event.